The 14” Neoprene Messenger Bag fits most 14” and some 15” laptop models and features an adjustable shoulder strap with pad for easy transportation. Be it the airport or the railways; cater to the baggage needs of your customers while simultaneously advertising your brand, with the 14” Neoprene Messenger Bag. The bag is made of durable neoprene material which makes it stretchy, shock absorbing, resistant to water and outside temperature fluctuations. The laptop bag conveniently fits most 14” and some 15” laptop models. 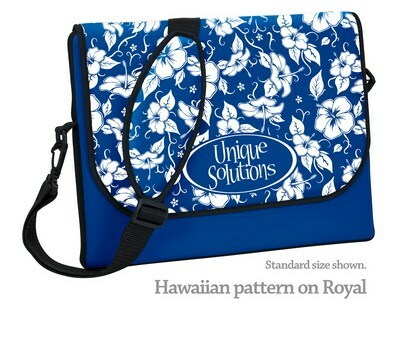 It has an adjustable shoulder strap with a shoulder pad for easy transportation. Imprint your company’s logo and tag line on this useful promotional product and highlight your brand above the rest.